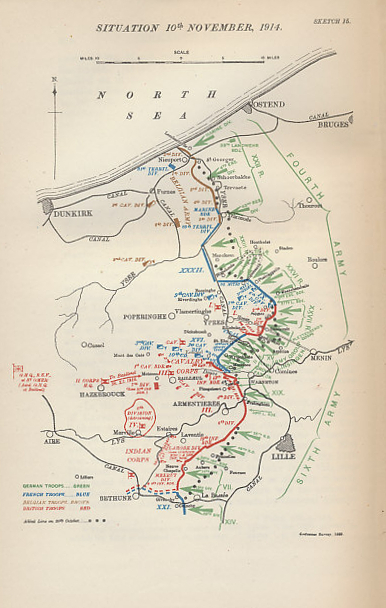 Map of the military situation in Flanders on November 10, 1914, the eve of the second major German assault on the Ypres salient. 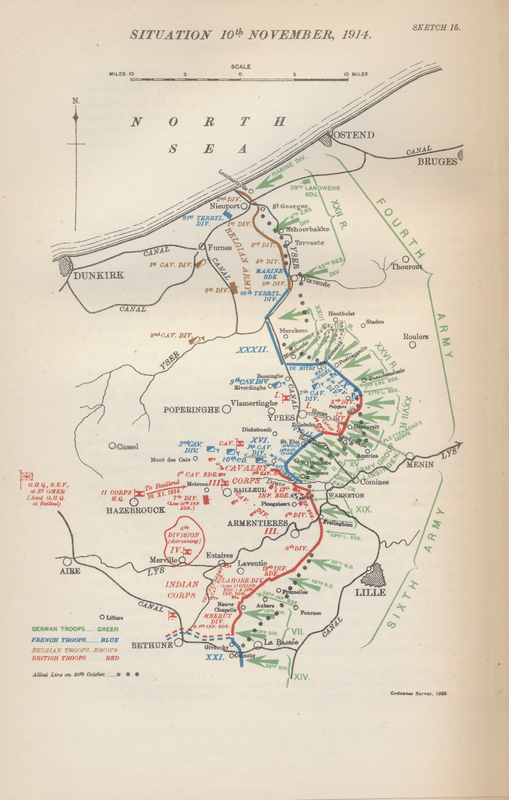 After bearing the brunt of the German assault in the latter half of October, the Belgians had inundated the farmland before them, leading the Germans to turn their efforts on the British at Ypres. 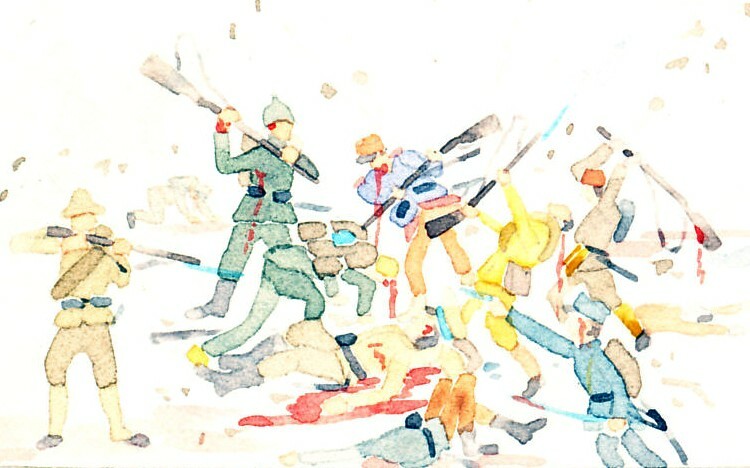 After the first great German assault on October 31, the French reinforced the British line. On November 11, the Allies were unaware of how extensive the forces facing them were. 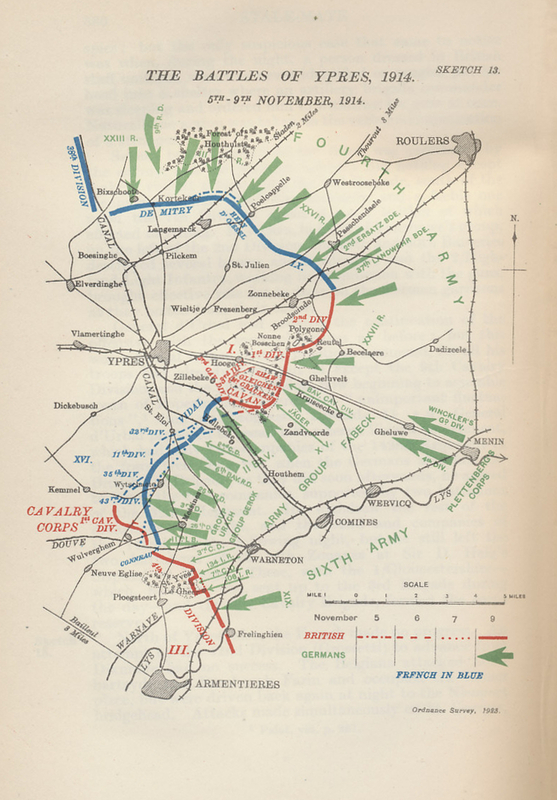 Map by Major A. F. Becke R.A. (Retired) from Military Operations France and Belgium, 1914, Vol. II, October and November, by J. E. Edmonds. With Bulgaria defeated, Serbia liberated, and the Allies under Franchet-d’Esperey on the Danube, Serbia's border with Austria-Hungary, Romania returned to the war. On November 10, 1918 King Ferdinand mobilized the army.